VistaMizer brings the Windows Vista interface to your Windows XP desktop. 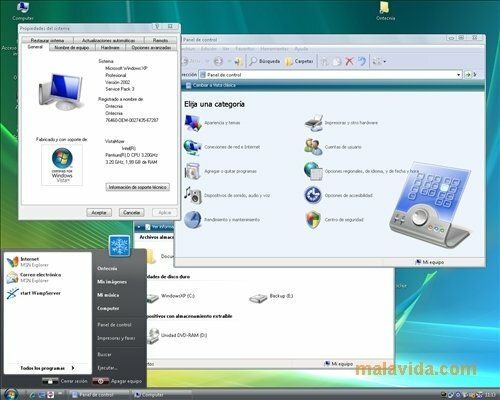 Thanks to this complete pack, managing to make the design of the menus, buttons and other objects of your Windows operating system to look like those of Windows Vista (very similar to those of Windows 7) is very simple. 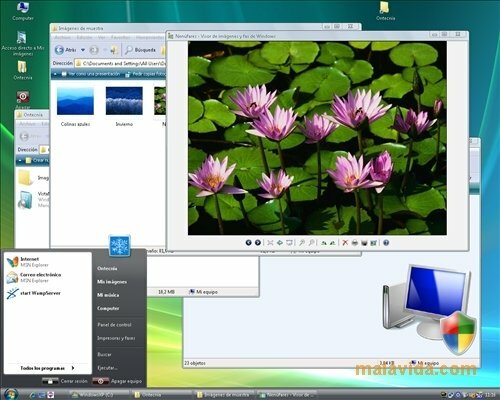 This Windows Vista theme for Windows XP works in a very simple fashion, you only have to install it, restart it and see how your system has changed. Where you used to have blue bars with red buttons you will now find the polished interface that was launched with Vista. Having the Windows Vista standard design (just like Aero but without animations nor advanced graphic effects) on Windows XP provides a quality sensation that is a lot higher in all the system, something that has a direct effect on how it is used. To manage this, VistaMizer modifies various system files like DLLs, screensavers, icons, wallpapers, mouse cursors,... The truth is that it will look like you are working with Windows Vista instead of XP. 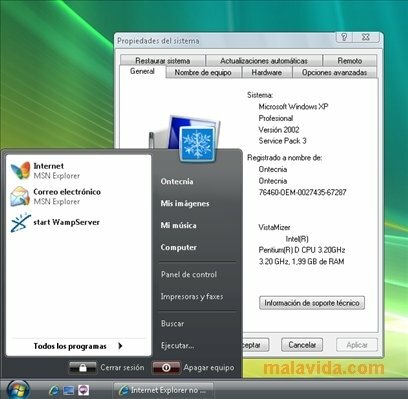 Thus, now you know, if you use XP because Vista doesn't work on your PC or because you simply like how XP works, you may want to install VistaMizer and manage to get a more modern and functional interface.